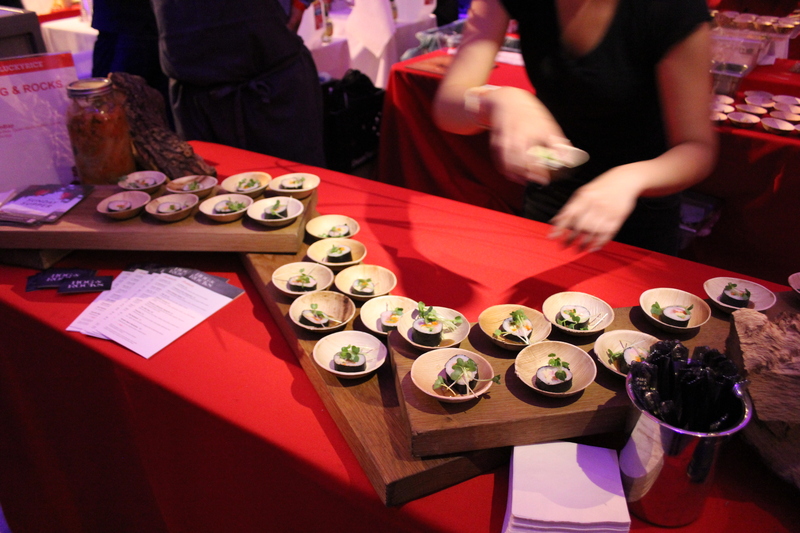 LUCKYRICE is one of the hottest culinary events. Shining a spotlight on Asian cuisine, founder Danielle Chang hosts one-of-a-kind events in New York, Los Angeles, San Francisco, Las Vegas and Miami. CAAM is a proud sponsor of the upcoming LUCKYRICE LA and LUCKY RICE SF. CAAM is working with Danielle Chang and LUCKYRICE on a big project, so stay tuned. 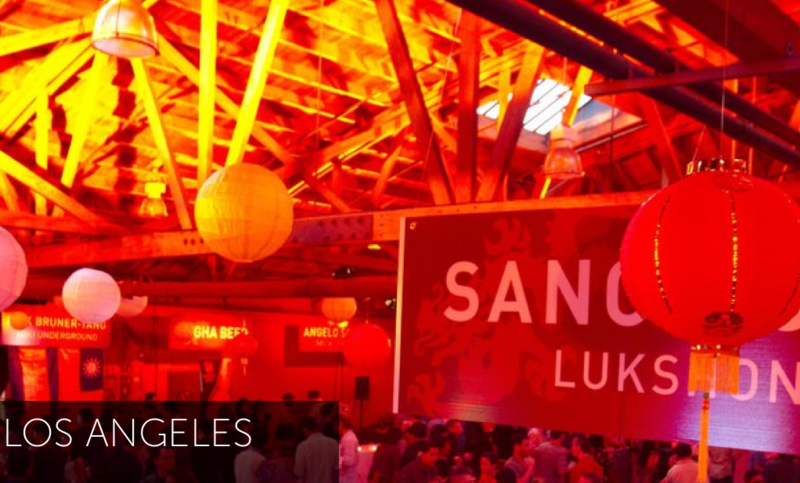 To celebrate, we are giving away two pairs of tickets to LUCKYRICE LA! Like our CAAMedia Facebook page and tell us your favorite Asian dish by 11:59 p.m. PST on Tuesday, August 5. Winners will be randomly selected. Hosted by Sang Yoon (Father’s Office, Lukshon, Top Chef Masters), the third annual LUCKYRICE Feast is moving to Hollywood and taking over the swanky Create Nightclub for an evening of innovative and traditional Asian-styled dishes paired with cocktails from LA’s brightest star chefs and mixologists. It’s going to be a party, especially for Asian food fanatics! Expect the city’s top toques to show off their best dishes in this culinary extravaganza. Pig out on street food and savour fancy bites. They’ll be representing the Asian culinary diaspora—from Thailand to Taiwan, Korea to Japan, Philippines to Vietnam. Proceeds from ticket sales benefit CAAM. This annual smorgasbord of Asian culinary treats features our picks from LA’s hot Asian culinary culture – Eat, Drink and Get LUCKY. P.S. It always sells out so get your tickets now. Learn more and purchase your tickets today on the LUCKYRICE website. The participating restaurants and chefs include: Asian Box, Ayara Thai Cuisine, Bling Bling, BEP Vietnamese Kitchen, Carb & Nation, Chef Jet Tila, Doma Kitchen Café, Fluff Ice, Hamasaku, Hopscotch (Oakland), Katsuya, Komodo, Lukshon, Michael’s Santa Monica, Nong’s Khao Man Gai, Parks BBQ, Phorage, RockSugar Pan Asian Kitchen, Seoul Sausage, ShopHouse for the American Express Membership Lounge, Starry Kitchen and Sunny Blue. Whether they be street or fancy food, Asian culture has always brought out the best in diverse flavors, unique palettes, and stunning visual. Traveling to five major cities, LUCKYRICE strives to bring this awareness of Asian cuisine and culture to its audience. Heading into its fifth year, CAAM is a proud sponsor of LUCKYRICE as we help welcome LUCKYRICE back into the San Francisco Bay Area as they kick off another night of excellent food, drinks, and fun. Proceeds from ticket sales benefit CAAM. Working with chefs and mixologists, LUCKYRICE aims to bring diverse worlds into your city and on your plate. The restaurants participating include: Asian Box, Attic, Azalinas, Butterfly, Chino, Dirty Habit, Dosa, E&O Asian Kitchen, Ginger Cafe, Hog & Rocks, Kin Khao, Kainbigan, Le Colonial, M.Y. China, Paula LeDuc Fine Catering, Soy Vay, Spice Kit, and Tacolicious. Drinks will be provided by 15 Romolo, Asahi, Beer, Bombay Sapphire East Gin, Dirty Habit, Elixir, Kevin Diedrich, and Novela. Learn more and purchase your tickets today on the LUCKYRICE SAN FRANCISCO website.